Index Marine will be exhibiting at METSTRADE 14-15-16 November 2017, the world’s largest and most visited B2B leisure marine equipment show. 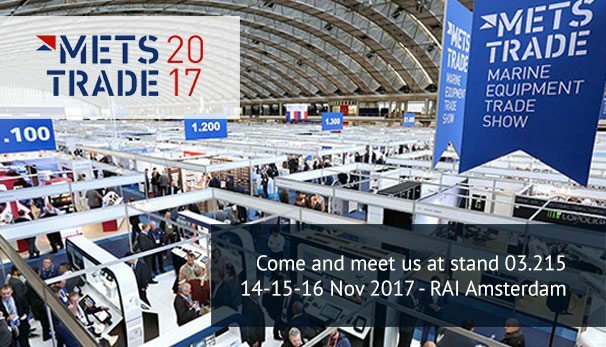 METSTRADE is regarded as a global business platform, which enables the marine community to showcase innovation, discuss market development and provide face-to-face networking opportunities. Our business development team, led by James Lewis will be attending the exhibition for the full three days. We are launching several new additions to our product range developed for the marine industry and harsh environment applications. If you are attending or thinking of visiting the exhibition, we invite you to visit us at stand 03.215 located in the British Pavilion. Register for FREE for METSTRADE 2017.